No trip to New York City would be complete without exploring Chinatown. 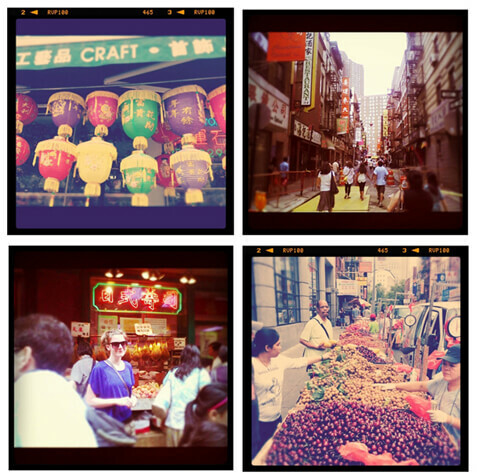 Chinatown provides a fascinating historical and cultural experience not found anywhere else in the world. It is almost like a unique city-within-a-city, offering a completely diverse array of regional cuisines, interesting stores and unique sights. Though this may not have been my first visit to Chinatown, I still can recall my initial impression of Chinatown was an overwhelming feeling of the unfamiliar and mysterious. There were huge piles of fish and strange produce glistening on the sidewalk in cardboard boxes, the pungent smells, impenetrable language and strange customs. Yet as I grew more comfortable with this intriguing neighborhood, its many charms were slowly revealed. It was no longer an area of cheap designer knock-off handbags and pork fried rice. 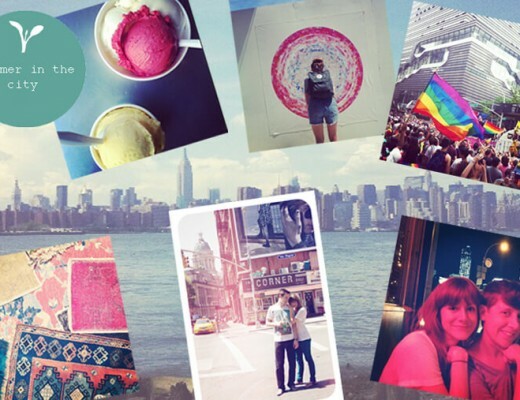 I saw it as an indispensable part of the city – a neighborhood that was just as integral to my view of New York as the Statue of Liberty or the East Village. We spent hours that day exploring the many streets of Chinatown. One of our historical experiences included a visit to the colorful Mahayana Buddhist Temple, seated at the foot of the Manhattan Bridge. Within this temple lies a large urn full of burning incense; for a dollar donation, you can get your very own rolled, rubber-banded fortune. Deeper in the building is what is believed to be the largest Buddha in the city: a 16-foot gold statue resting on a lotus flower. It is a beautiful and tranquil spot in the middle of NYC. The streets of Chinatown are great for wandering — there are fabulous stores for buying Asian groceries and goods -which make great souvenirs. The exotic fruits available at many street stands throughout Chinatown are beautiful to look at and delicious to experience. Dragon fruit, otherwise known as the pitaya fruit, is an exotic fruit with a beautifully intense color and shape. It is grown in a cactus, this cactus blooms only at night when they reveal their dazzling flowers. There are a few varieties of dragon fruit – while some are dark pink, others are yellow or white. To eat dragon fruit just cut it in half and scoop out the flesh. I think the texture and taste is similar to that of kiwi fruit. The flavor is mild, yet very refreshing. The dragon fruit’s nutritional profile boasts high concentrations of certain nutrients, offering a plethora of health benefits. It is an excellent antioxidant, which helps prevent the spread of free radicals within the body. 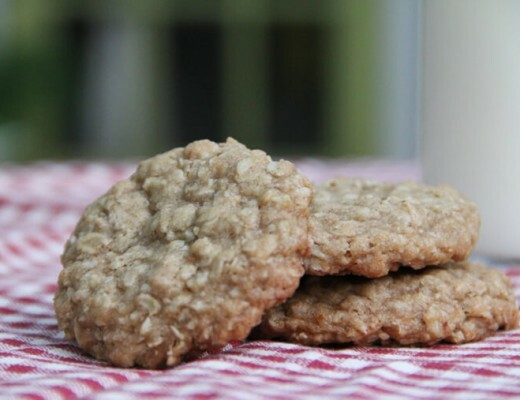 It is able to lower cholesterol levels and high blood pressure naturally. Dragon fruit also provides a rich source of vitamins B1, B2, and B3. This vitamin helps to increase energy levels, metabolize food and even improve the quality of one’s skin. 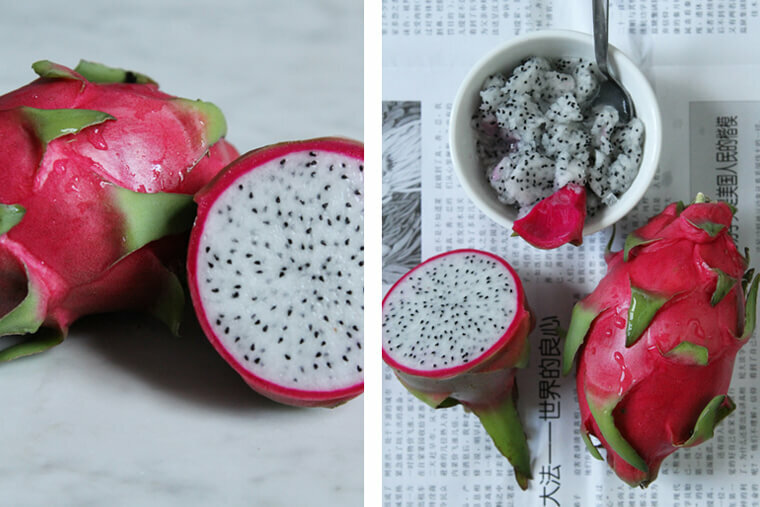 Dragon fruit seeds are also very beneficial as they provide a source of essential fatty acids. What’s more, the fruits are very low in calories and high in fiber. Because of its ability to lower blood glucose levels naturally, those suffering from diabetes can also benefit from eating dragon fruit. This versatile fruit can be served whole or as a beverage if squeezed. It can also be used to make spreads, jams and preserves. 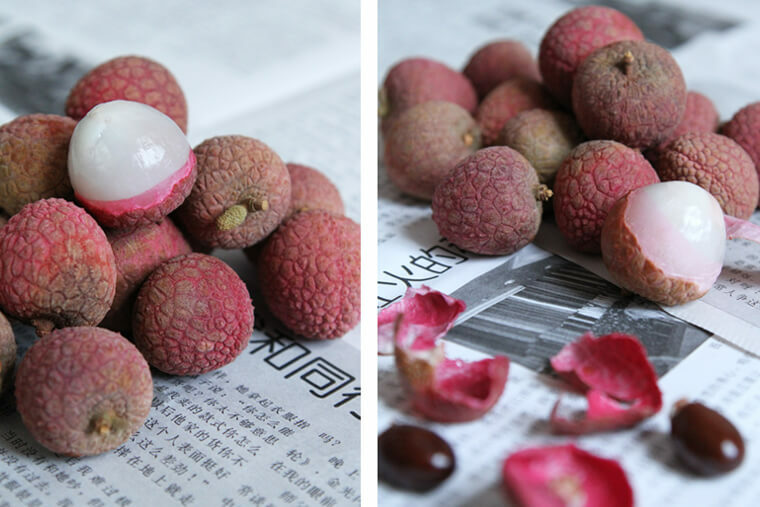 Lychee is a sweet and tasty fruit that is a symbol of love and romance in China. From a nutritional standpoint, lychee fruit is low in calories, high in fiber, high in vitamin B complex and vitamin C and loaded with minerals such as potassium. To get at the fruit, you peel off a leather-like skin. The fruit surrounds a rather large seed in the middle. The taste somewhat resembles that of grapes and is also quite juicy. If the fact that lychee is delicious doesn’t convince you to try it, maybe learning more about some of the health benefits will make you give this tropical fruit a second look. Apart from its sweet and tangy flavor, Lychee has significant health and nutritional benefits. It is a very good source of B-complex vitamins such as thiamin, niacin and folates. These vitamins are essential since they function by acting as co-factors to help body metabolize carbohydrates, protein and fats. Research studies suggest that oligonol – a polyphenol found abundantly in lychee fruit has been found to have several anti-oxidant, anti-influenza virus actions. In addition, it helps improve blood flow in organs, reduce weight, and protect skin from harmful UV rays. I like eating lychee fruit fresh. There’s something so satisfying about peeling off the skin to get to the fruit. But if you fancy trying something more adventurous, they make a natural addition to fruit salads and desserts. They can be used in sweet-and-sour sauces as well as dessert sauces. Lychee fruit also makes a great tasting addition to smoothies.